January 17, 2019 | Advertising Disclosure | Our Sponsors may be mentioned in this article. 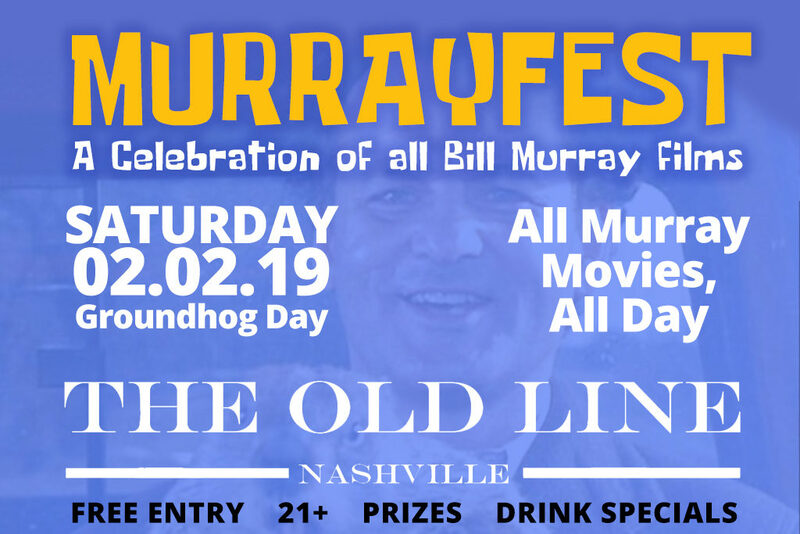 MurrayFest, a celebration of all Bill Murray films, is (fittingly) on Groundhog Day, February 2, 2019, from noon to 8:00pm at The Old Line. The free event will feature Murray movies all day, themed drink specials, Groundhog Day and Caddyshack drink-alongs, games, and prizes. Guests are strongly encouraged to dress as Bill Murray characters to enter the costume contest. The event is 21 and over only.